I came home in my work wear last night and Eddi's five year old boy said: Oh! What fine trousers! 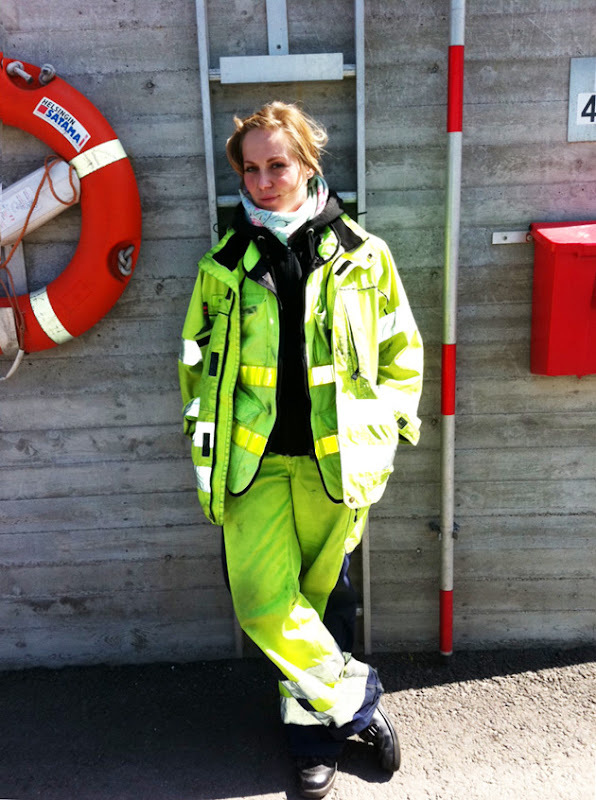 Trousers - Bl�kl�der, Jacket - Fristads, Shoes - Sievi. The vest and hoodie are old. As accessories I have Famo gloves and motorola radio.